A common challenge found in labs across the country is balancing the proportion of available work space and space taken up by lab equipment. Large pieces of equipment can make it difficult to work, especially under the hood. 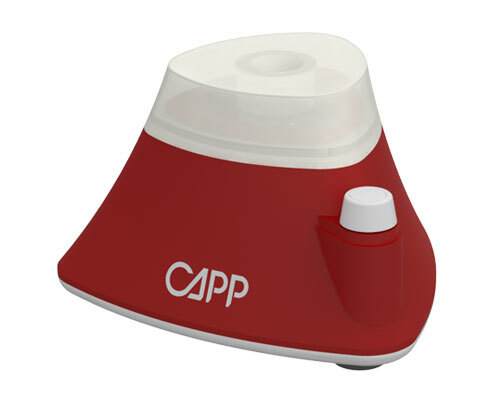 Researchers need to be able to maximize their workspace and CAPP has produced a solution. The CAPP Rondo Mini Vortex Mixer offers a space saving solution, without sacrificing speed and reliability. While being roughly half the size of the competitors, this vortex comes with the same great quality found in all CAPP products! This compact vortex mixer will suite all of your mixing needs. “With 4.5mm orbital motion and speed of up to 4500 RPM, it instantly vortexes tubes and vials up to 30mm diameter.” To ensure that you have complete control over the vortex, this model comes with a highly touch sensitive switch, ensuring Real-time mixing. One of the most important features for any piece of equipment is consistency. This is achieved with the CAPP Rondo Mini Vortex Mixer. Perfectly designed to be well-balanced and equipped with three anti-sliding feet, this vortex will be there for all of your mixing needs. To help ensure the longevity, the vortex is manufactured with a suspension design for a longer switch life. For your peace of mind the CAPP Rondo Mini Vortex Mixer also comes with a two year manufacturer warranty for parts and labor. The Right Size and the Right Price! 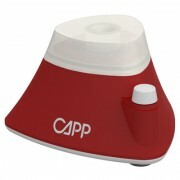 It is easy to tell that the CAPP Rondo Mini Vortex Mixer is the perfect solution for your lab. With its compact size, you will be able to use and store this mixer without hassle. With all of the speed and reliability expected from CAPP, this machine is top of the line. The vortex will save your workbench space and at Pipette.com it will also save you money. 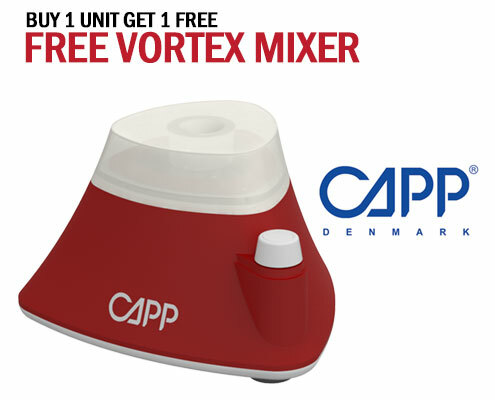 Buy one CAPP Rondo Mini Vortex Mixer and get the second one FREE! If you have any questions about this product or need help ordering, please contact us by phone or email.